What’s not to like about a county that spawned the theory of evolution, modern industry and gingerbread? Shropshire is really quite diverse. 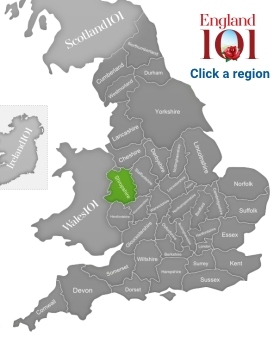 Forming a large portion of England’s border with Wales, it is also the largest inland county in the country. Generally speaking, Shropshire is quite rural and its westernmost areas draw some elements of Welsh culture and language. Among Shropshire’s great contributions to the modern world, perhaps its best human achievement is Charles Darwin, who was born in Shrewsbury, Shropshire’s county town, and grew to become one of the most important scientists in human history with his “Theory of Evolution”. Shropshire also contributed to the development of modern industry, for it was here, at Ironbridge, that the Industrial Revolution had its earliest beginnings. The town is named quite literally for the world’s first bridge constructed of iron, which crosses the River Severn here. Today, it is a UNESCO World Heritage Site and home to the Ironbridge Gorge Museums, nine museums that tell the story of the bridge and the Industrial Revolution. 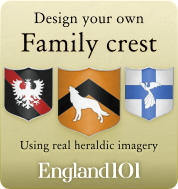 At Wroxeter, you can venture into the world of myth. 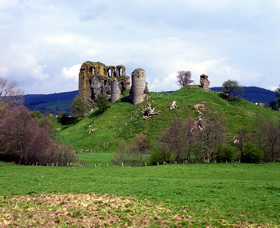 One of the largest Roman cities in the U.K., this ancient village was said to be the mythical Camelot, home to the legendary King Arthur. Or if modern history is more your thing, the Royal Air Force Museum in Cosford is situated within three massive wartime airplane hangars and displays a host of different vehicles and planes, including 18 different aircraft from various eras. Darwin wasn’t Shropshire’s only famous export. Market Drayton has been making gingerbread since the 1700s and continues to be a gastronomic destination in the county. Likewise, it could be said that the modern Olympics have their origins in Shropshire, as William Penny Brookes, founder of the International Olympic Committee, spent his entire life in the small town of Much Wenlock and even hosted a pre-cursor to the modern Olympics here in 1859. 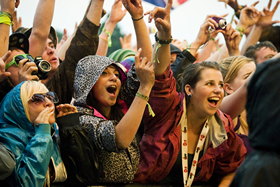 A close up of an excited crowd taking photographs and enjoying a performance at the V Festival, a music festival held annually at Weston Park in Shropshire. A statue of Charles Darwin in the centre of Shrewsbury. 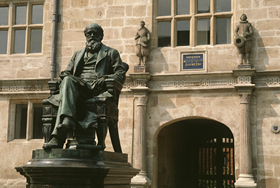 Charles Darwin, perhaps the town's greatest son, would still recognise much of modern Shrewsbury. 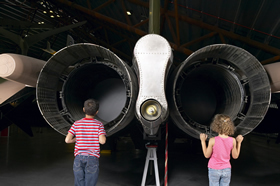 A young boy and girl looking at the jet engines of an aircraft in The Royal Air Force Museum, at RAF Cosford in Shropshire. 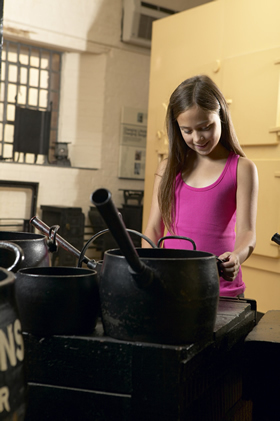 A young girl looking at artifacts on display at the Museum of Iron in Coalbrookdale, one of the Ironbridge Gorge museums in Shropshire. 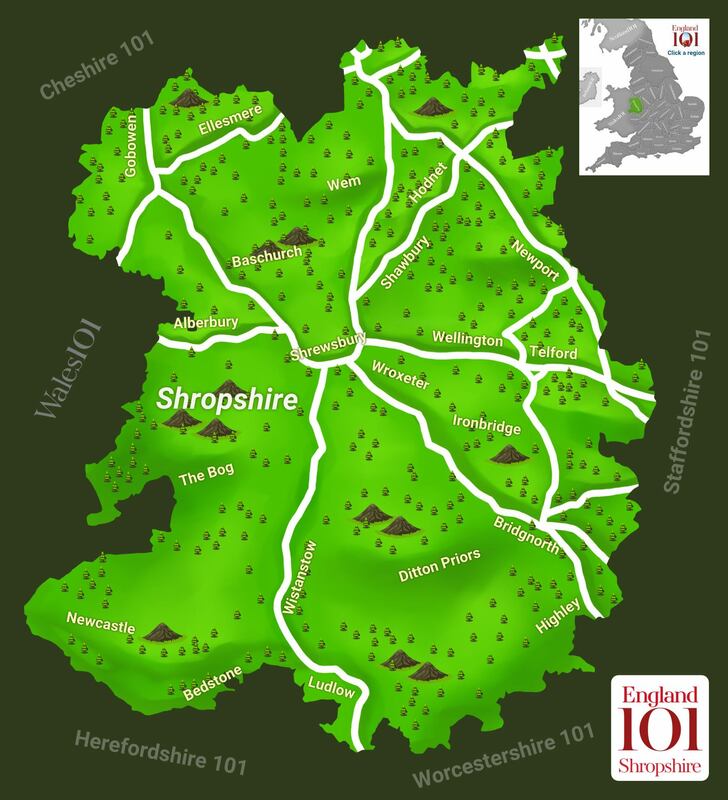 How much do you know about Shropshire ?